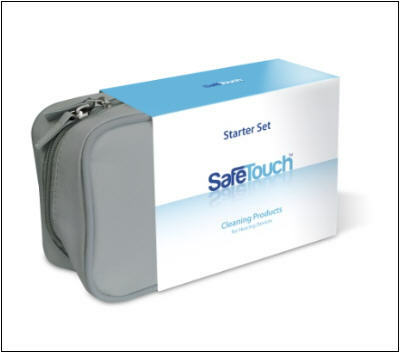 The SafeTouch™ Starter Set is perfect for on-the-go users. Easy and convenient storage; this re-usable bag contains everything you will need to keep your hearing devices clean & dry Not sure what you need? This set also includes an 8 page brochure to help answer any questions you might have. The specially developed SafeTouch™ EZ-Gel makes the fitting and removing of the Hearing Aid, Earmold or Hearing Protector easier.